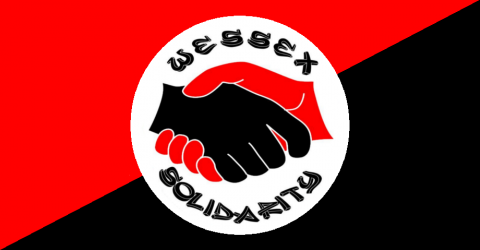 In addition to our stall at the Black Swan, we are hosting, as a last minute addition to the programme, the following meeting at BASE (formerly Kebele) from 2 p.m. to 3:30 p.m.
Defend the NHS and Fight for Socialised Healthcare! That’s a long time to talk so bring your own ideas and experiences! The Occupy sanctuary in Bournemouth. 04.00, Saturday 30th December 2017. All is calm, all is bright. More than 30 people have a place to put their home tonight thanks to all the love & hard graft freely given to those people without a flat or a house to put their homes in. 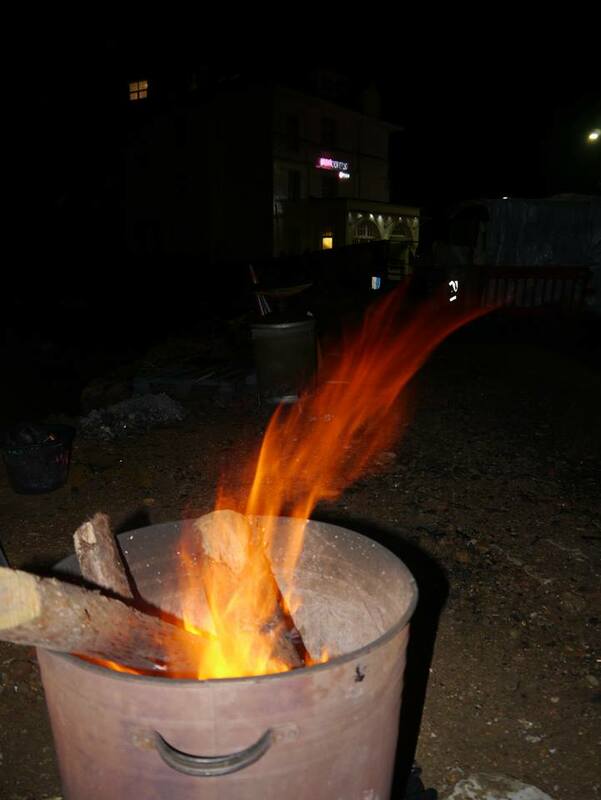 This fire has been burning continuously now for more than a week come rain or shine, we shall defend this land. “SLEEP IN THE PARK” GRENFELL MEMORIAL SERVICE – BEYOND PARODY. Swindon Unites with homeless people! 10th December 2016. 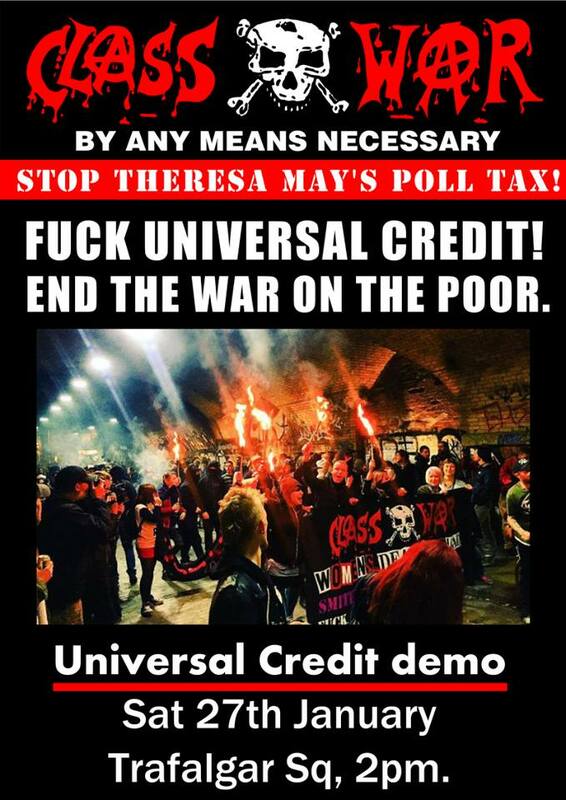 POVERTY IS NOT A CRIME! 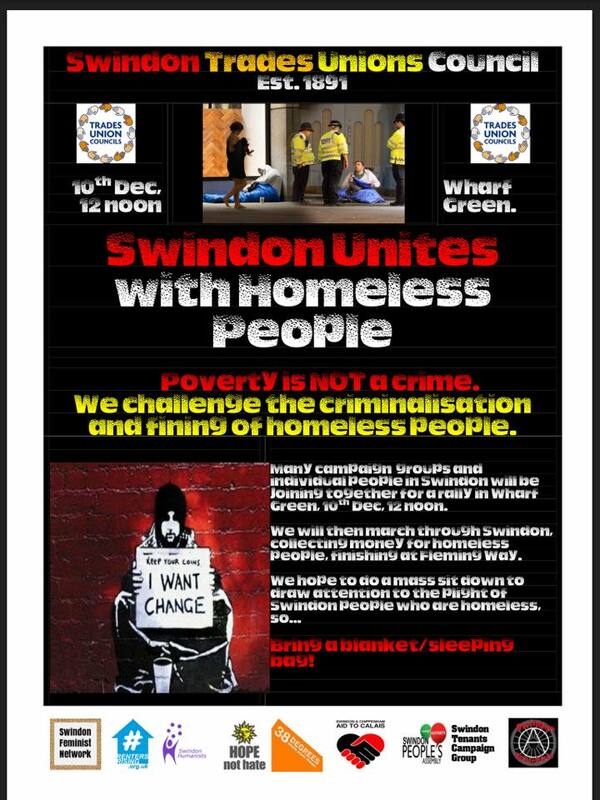 SUPPORTING SWINDON HOMELESS PEOPLE, OPPOSING CRIMINALISATION. 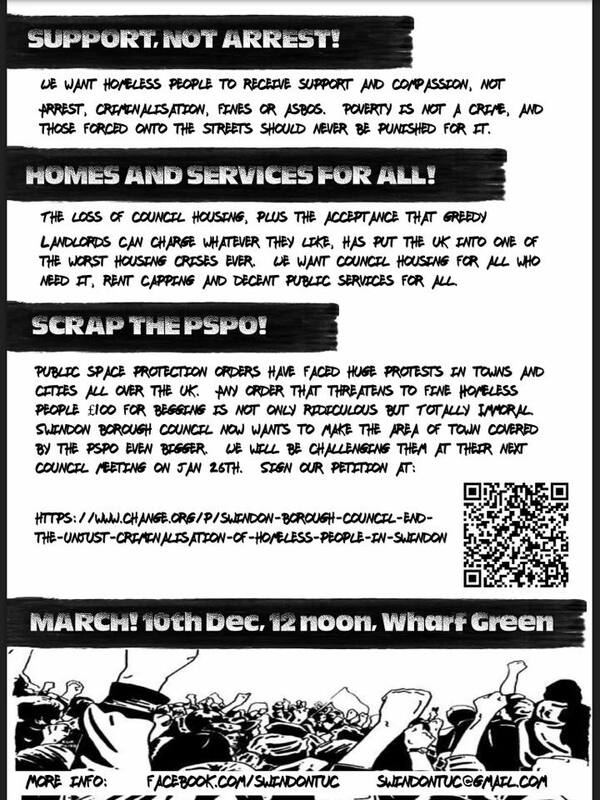 Swindon TUC invite community groups and all people in the Swindon area to come together to protest the treatment of our town’s most vulnerable people and raise money / awareness of the criminalisation of the homeless in our town. The government austerity cuts, the housing crisis and the brutal slashes in funding for all of our public services have led to vast increases in the number of homeless people all across the UK. More and more of the most vulnerable in Swindon are not only homeless but risk facing arrest for vagrancy, being fined £100 under the Council’s social cleansing initative (the Public Spaces Protection Order) and also risk getting an Anti-Social Behaviour Order instructing them to stay away from the town centre area (and the relative safety of other homeless people), and forcing them into greater isolation and even less physically safe sleeping places. Homeless people who attempt to make some kind of home in unused public space will regularly have their belongings trashed by the authorities with no care for their liberty or dignity. Swindon Borough Council’s PSPO already means that vulnerable people can be fined £100 for ‘begging’ in the centre of town, but the Council are now looking to extend the boundaries of the Public Spaces Protection Order still further, making even more spaces ‘no-go’ areas for our most vulnerable residents. 1. We challenge Swindon Borough Council’s PSPO. 2. We challenge those who say poverty is a crime. 3. We challenge those who would rather arrest the homeless than support them.